How can we build heavy houses in the trees in a way that’s friendly to the trees? With “artificial limbs” – that’s how! These ingenious steel creations take into consideration the natural growth habits of the trees and work with these great leafy beings to make our version of a “nest” for human beings in them. 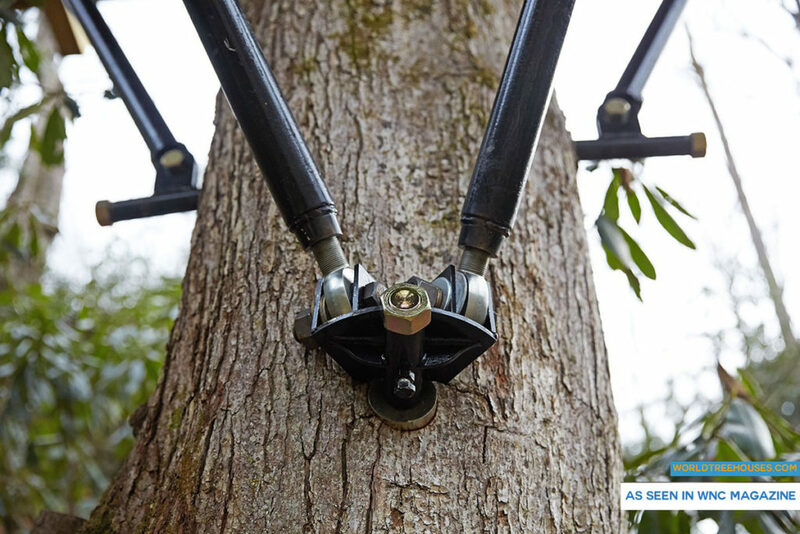 When you build a house in the trees without these engineered steel “limbs,” you may endanger the tree for several reasons. For example, did you know that wooden boards touching the tree can cause disease? And that surrounding the tree limbs or trunk with material can choke off its circulation, causing disease and premature death? World Treehouses is kind to the trees by using state-of-the art and customized engineered hardware.